Are you unable to attend Communion services for some reason? Have you ever wanted to have Communion at home? As a young student, (I, Jessika), used to receive communion on a daily basis, but one day, the order I was a part of left town and for the first time in four years, I was left without a priest to serve me communion. I called my spiritual teacher, M. Marian, who lived 800 miles or so away, and told her of my predicament. She said, and I am paraphrasing here because I do not remember her exact words, something to the effect of "Why, you can serve yourself. Jesus will come to anyone who wants to receive of him." And so, I began to serve myself communion. I had to move through many psychological obstacles to actually perform it myself, such as I was not ordained, but through the doing, I soon realized the truth of my teachers words. Our intention in presenting this Communion to you is to provide a means for you to receive Communion if for some reason you are unable to attend a service. This communion is not intended for anyone to use with a group. It is written specifically for one person to use, although if you wish to use it with your life partner, we find it serves very well. The Universal Communion of Jesus Christ for Personal Use may be used by anyone of any faith. We assert it is the Divine Right of every individual to have Communion with Jesus Christ, whether a priest or minister is present or not. Now, you do not need to subscribe to ours or any special beliefs about Jesus Christ or Mother Mary to use this communion, but we do think it important that our personal views be made known to you as of course they have influenced the writing of this service. Our view is that everyone is entitled to partake of the Communion of Jesus Christ who wishes to receive and that any revelations about who Jesus Christ and Mother Mary are will be received through devotional practice, contemplation, a sincere heart, and a desire to really know. With that said, we will say that it is our experience that when we receive Communion, we receive through "one" who was anointed as Abraham was. In other words, Communion by virtue of its Blessing is a tradition, a heritage and practice having an ancient root not traceable through history or linear time. It is our experience that we receive through Divine Grace of an Ancient and Beautiful Blessing only historically traceable to Jesus at his Baptism by John the Baptist to the present day. In that Light, Communion is an an Ever Evolving and Ever Expanding Experiential means to receive of a Consciousness of increasingly Greater and Greater Light and Love. It is our experience that when each of us receives Communion, we allow and initiate a changing of ourselves and thus, the world for the better and the Good of All because more and more Christ Light comes into us and thus into the Earth every time we receive. When we receive of Jesus' presence and consciousness, through the ritual of Communion, we receive not only of Jesus' consciousness, but also of the consciousness of the Greater Christ Consciousness, the Eternal Light of the Divine Light Over All. Every time we perform communion, we bring more Light into the World. In communion with Jesus Christ, we come to understand, We are All Children of Light and that the Essence of God is Love. 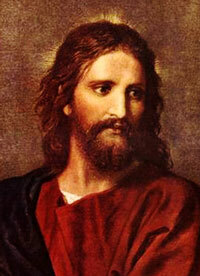 Jesus, quoted in John 10:24-36, Psalm 82:6 6: "I have said, Ye are gods; and all of you are children of the most High." Following is the actual text found in the Gospel of John. While you read, remember that the title Christ is actually rooted in the Greek term for the Hebrew word Messiach, or Messiah, referring to anyone who is anointed and not the one and only. In the following, Jesus does not refer to himself as the one and only, rather Jesus consistently refers to God as the source of his authority. 29 My Father, which gave them [NKJ: to] me, is greater than all; and no man is able to pluck them out of my Father's hand. So, you do not need to believe Jesus was the "only" Son of God; he never said he was. He said he was the Son of God in the context of "we" are gods as children of God. You only need to believe that when called Jesus' presence will manifest; he will come and with him the Divine Presence of his Consciousness, simply... because we ask. One of the messages of the Gospels is that Jesus is available to all. All we need do is call upon his name. Calling upon the name of someone is calling upon their presence and the Consciousness they carry. Following are some of the passages concerning the Last Supper and the form of the ritual that Jesus left for us. We may understand the intent of the ritual in knowing that in his day Jesus was a great teacher and the head of his own school. Thus, his followers were called disciples and some later were called Apostles. In the Ancient World, one sometimes partook of the Consciousness of the Master through sharing a meal with the Master of the School. In some Eastern schools of today, this is still the practice. Many churches of today receive of communion, but they have lost the essence of what the communion means in the context of one's being a follower of Jesus and of partaking of a Greater Consciousness. When we receive of Communion, we are receiving from an Enlightened Master who attained the Consciousness of the Great Christ. The Great Christ is the second aspect of the Trinity. In the Mystic World, The Trinity does not actually designate three different beings. Rather the Trinity represents the three faces of God. The first aspect is The Eternal, Unnameable, and Unknowable Source of all Existence. Second is the Christ or the Word: the Creation and all levels of it. And third, is the Holy Spirit: the unmanifested transcendent Spirit of God, ever Present and ever Unfolding. Jesus called the Holy Spirit, the Comforter. ... Blessed are they which are called unto the marriage supper of the Lamb. We do recommend that you use this communion in conjunction with and following a Daily Meditation Practice (ours or another) that provides a means for personal spiritual retrospection and reconciliation. In other words, we recommend you use this communion after contemplation of spiritual changes you would like to make in your life and in light of forgiveness you would like to receive that you have thought about sincerely. We also recommend that you bless those who you may have harmed and if possible or appropriate that you ask their forgiveness for any harm you have done. It is customary that you have been baptized in the Light of the Great Christ to use this communion, however what is truly needed is a sincere heart devoted to the One Light and a desire to know Jesus Christ and receive from him and through him. The Great Christ is the Messianic Consciousness, the One Light over all. The Messianic Consciousness is the source of all religious practices that are used to obtain Enlightenment and bring saving grace and love into the world. With all of the above in mind, you may also use this communion as a devotion, simply, to be in the presence of Jesus Christ and Mother Mary. If you are unsure of what to ask forgiveness for, they will show you in time through your devotion. In light of the many translations of the Lord's Prayer, and the linguistic liberties taken regarding the many translations, the Lord's Prayer has been revised according to the Spirit of our own spiritual devotion, intention, practice, and need. You are welcome to use our version or you may substitute a version you prefer. What you will need: You may use an ordinary plate and a cup for the bread and wine. Matzo is preferred, but any bread will do. Kosher Wine is usually used by us (it is sweet- we use only enough for a sip), but you may also substitute grape juice. It is recommended that you dedicate the plate and cup for this specific use. It is also good to create an altar in a special location in your home. A single candle on your altar that you can light for meditation and worship and especially for this occasion is also recommended. You may like to put pictures or small statues of Mary and Jesus on your altar. Step 1: Spend some time (at least 5-10 minutes minimum) in meditation. End Your prayer by making the Sign of the Triangle Cross by holding your right hand up with the first two fingers straight up and the rest of your fingers tucked into your hand, covered by your thumb. We use this hand sign every time we say the Glories. This is an ancient form used in the West for blessing and to close prayers. (You may also use the Gnostic Gospels or other sacred reading). O, Creator, Through Thy Word, the Great Christ, Cleanse My Body, and Purify My Mind, and May the Light of Christ Now Enter, to Fill Me Completely, That My Only Thought May Be of Thee. I Accept this in the Names of Our Most Blessed Mother Mary, and Our Lord Jesus Christ to Absolve Myself of All Error. Glory unto God. Glory unto the Christ. Glory unto the Holy Spirit. Amen. Keep Us Ever Mindful of Thee. And the Glory, Forever and Ever. O Lord of Earth, Jesus Christ, Be with Me. It Is My Word That this Bread Shall Be Transmuted into the Flesh of Thy Body and Thy Mind. Being Transformed, I Commend it in Your Memory for the Forgiveness of Sins. God of All, in Thy Holy Presence and by Thy Word, Do I Embrace Pure Being and Christ Consciousness, and Partake of the Body and the Blood of Our Lord Jesus Christ, That I May Be Transformed in the Light of the Christ. In the Name of Jesus Christ, I receive and Know I Am Absolved from All Past Error and Thus a Partaker of Life Through Our Lord Jesus Christ. Eternal Light of Creation, Through Thy Holy Word, and Through the Life Granted unto Us, Do I Commend Myself to the Transformed Wine and Blood of Our Lord Jesus Christ, for the Raising of the Consciousness, and May Now the Holy Spirit Descend Through it and Infuse it with Life Eternal. As I Receive of the Blood of Jesus Christ, Infused with the Essence of the Great Christos Above, So May I Be Blessed and May Thy Light Shine Before All Beings. Step 9: Offer up all Transgressions to God to Be Transmuted in the Light of the Christ for Life Everlasting. Say a Prayer of Thanksgiving.